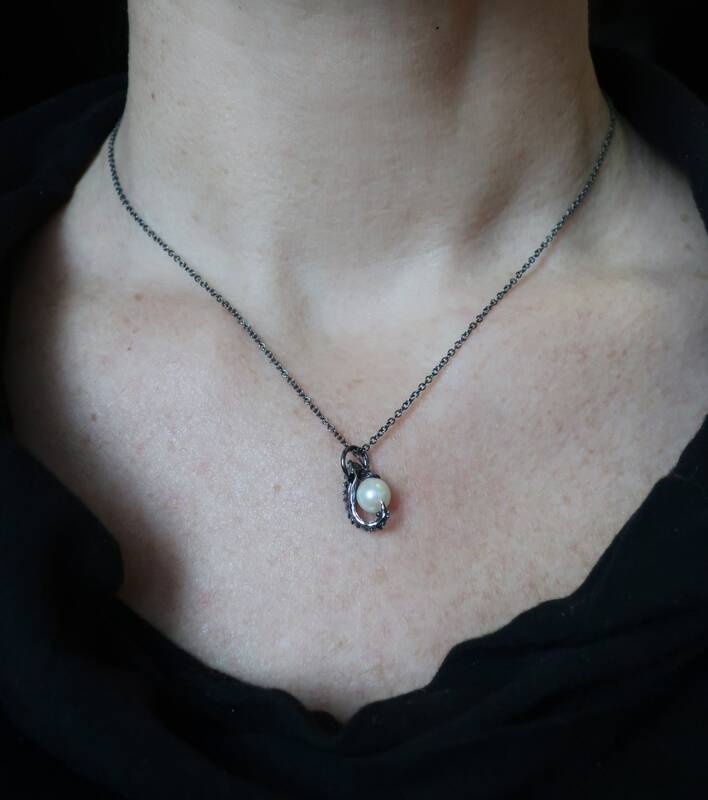 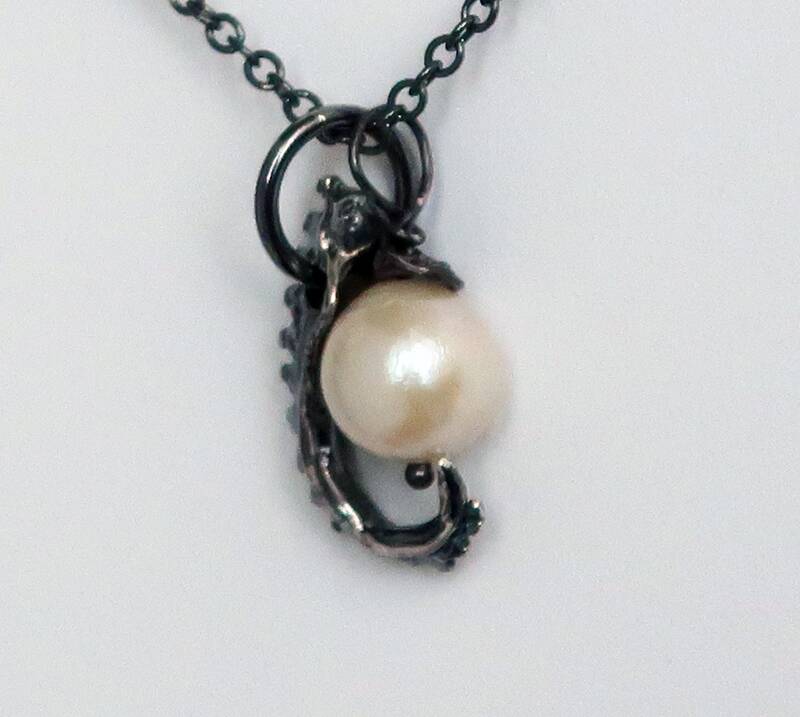 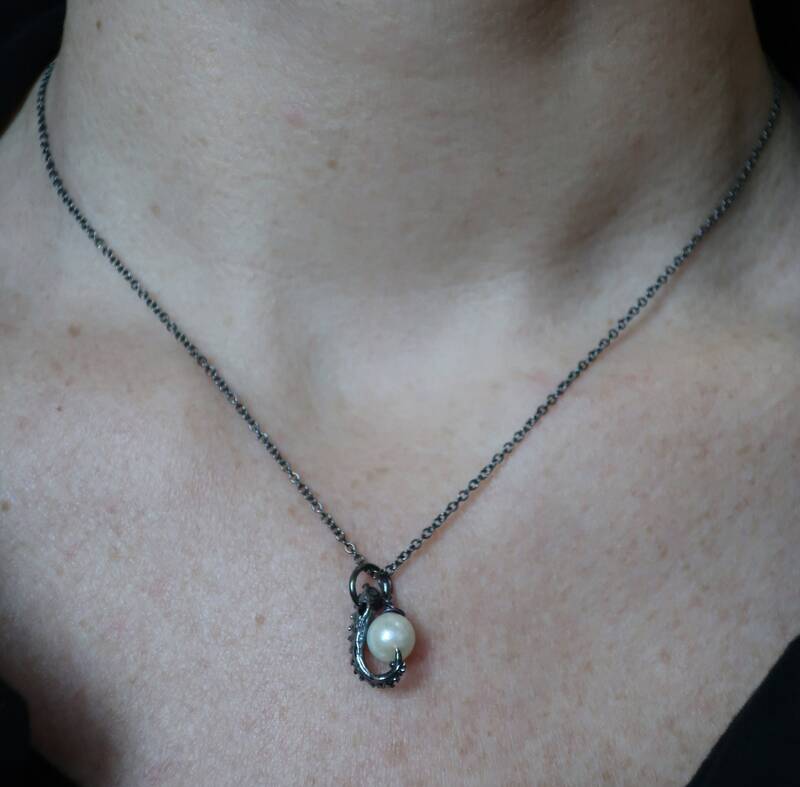 A blackened Sterling Silver tentacle is hung with a lustrous 6.1mm round vintage cultured pearl on a 40 cm (16") Blackened Sterling Silver cable chain. 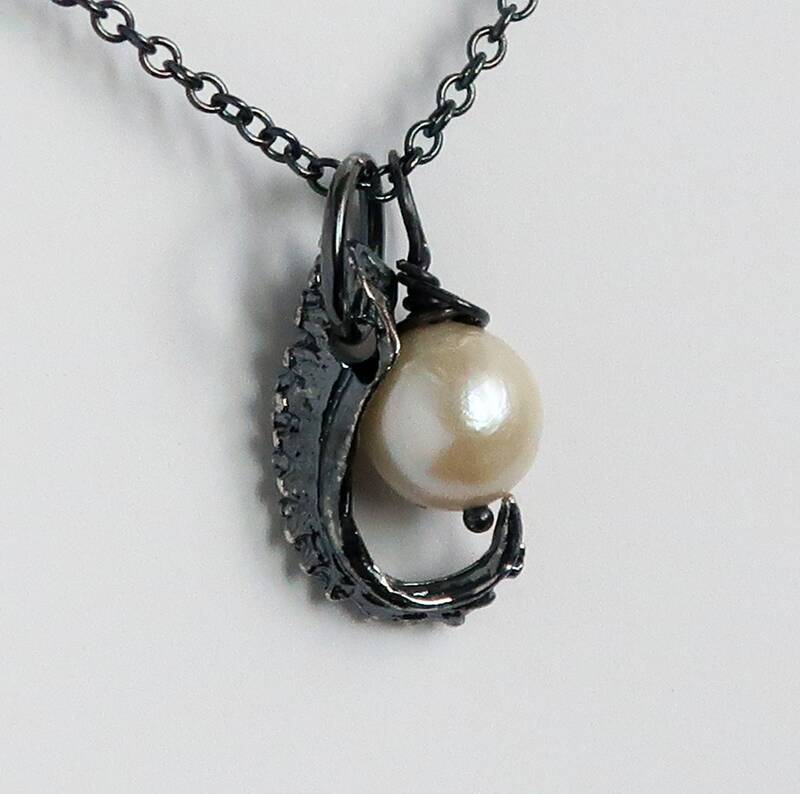 The tentacle has lovely detailing and measures approximately 14.5mm x 8mm. 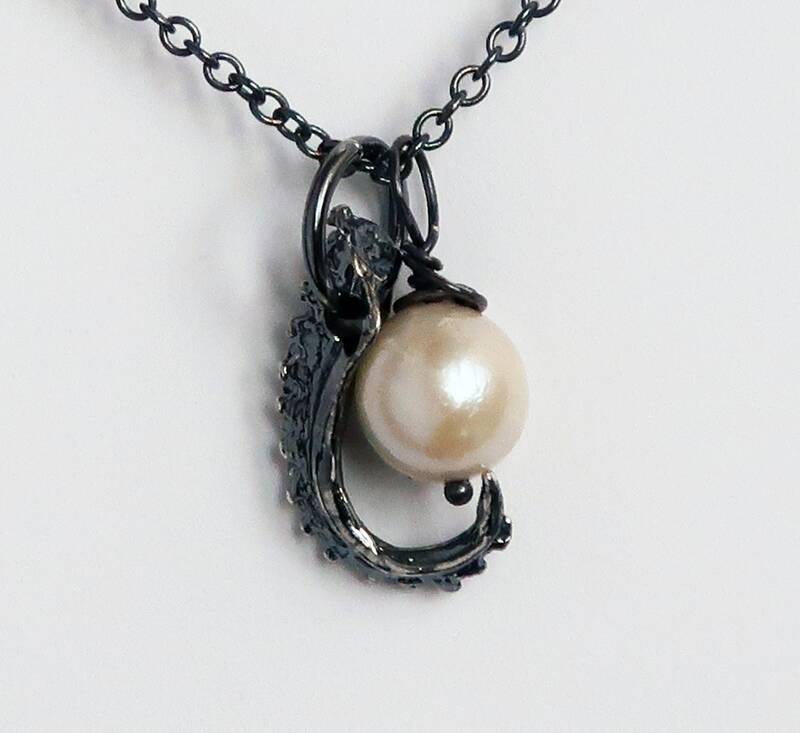 A beautiful, yet slightly unusual necklace!